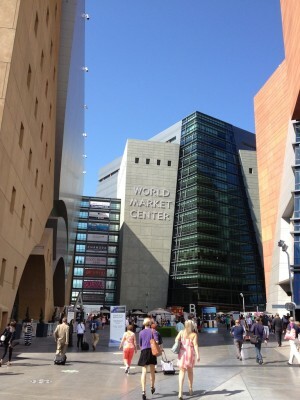 Three buildings with 2,224 showrooms full of furniture, accessories and gift items tucked into over 5 million square feet — that’s what greeted me when I arrived at the winter Las Vegas Market Center show last week. I’ve been going to shows such as these for more than 20 years, but this market has become my favorite. 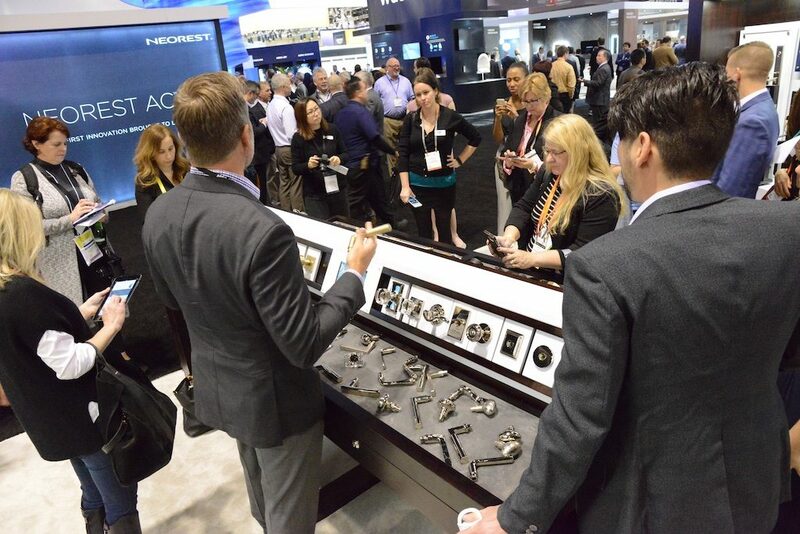 It’s truly become a one-stop shop and it’s great to be able to see everything in one place. There were so many great products and things to share it’s hard to know where to start! But here are five of my favorite looks and trends. You can tell that people are more confident about the economy because they are investing again in larger statement pieces for their homes. 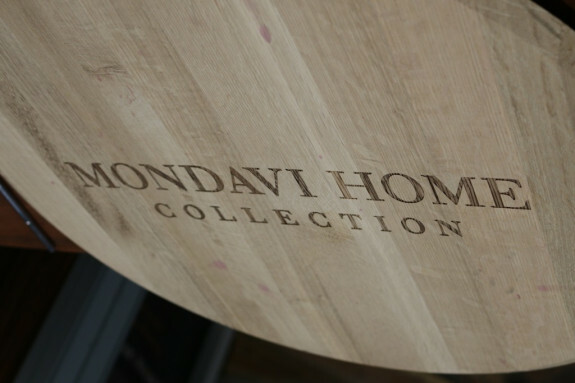 Unique personality pieces are stealing the show, and showrooms such as Andrew Martin and GO Home are putting together collections of old and new that will make any home memorable. 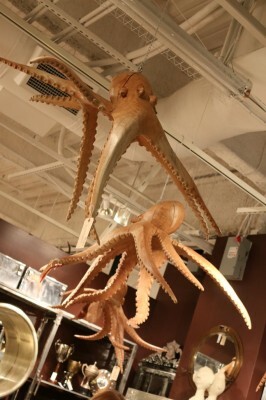 We fell in love with these hand-carved octopuses. Not sure where we would put them, but I’m sure I could find a place. Old circus canvases and carnival games were also a big hit. Pantone chooses a color every year that they think will have the most influence, and the 2014 choice was “Radiant Orchid.” It’s a actually a great accent for a lot of the main colors we saw — “Indigo Blue” seemed to be one of the leaders in bedding and fabrics. 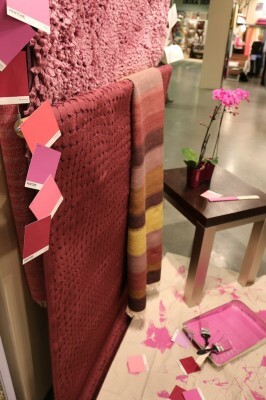 Loloi Rugs had some great interpretations of this color palette, and there was lots of it seen in florals and accessories. 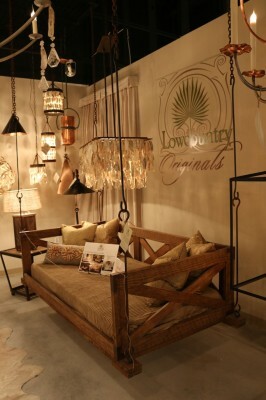 Furniture, lighting and accessories made out of organic or recycled products are still very important. Low Country Originals does a magnificent job of turning oyster shells into works of art. I’m lusting after some of their chandeliers and their vine balls. Their porch swings are perfect for the Dallas lifestyle, and come in different finishes and woods. The Phillips Collection also creates works of art from logs, petrified wood, driftwood, and tree stumps that become furniture or wall art. Each piece is truly a one-of-a-kind creation. Lighting has moved from the home improvement store to the design showroom, even at very affordable prices. There were so many great choices this year I want to completely start over in my own home. Arteriors, which is based here in Dallas and is available through the In-Detail showroom, had something for everyone. Their Zanadoo chandeliers were just fun, and would make quite the statement in an older home or a new home. 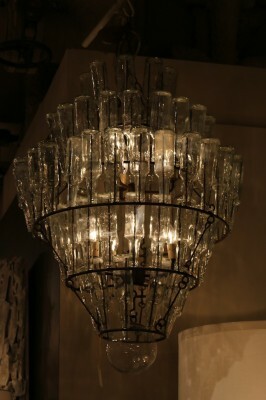 I also just loved their Stedman chandelier, which is made with bottles. 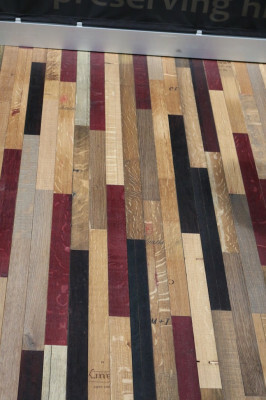 It would be perfect in a wine room. We also loved the industrial lighting that GO Home offers. 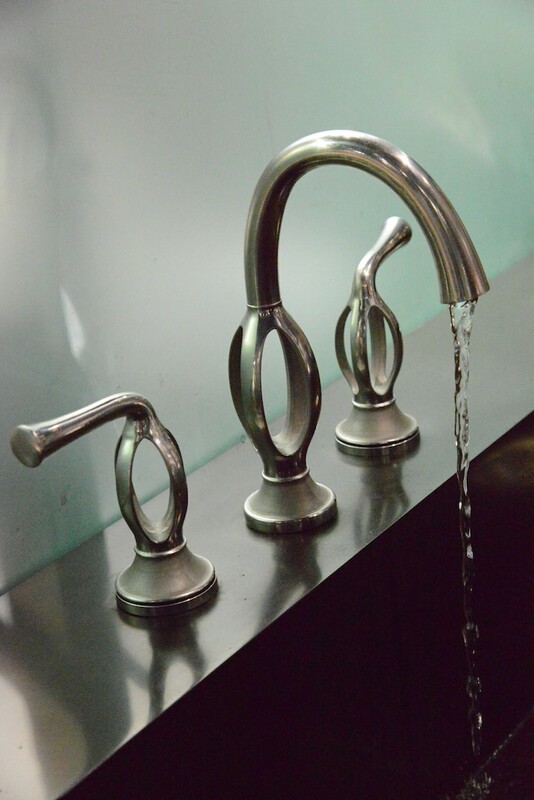 Each piece is so unique, and could become the shining star in almost any room. Celebrities and designers continue to work with manufacturers on lines that are available at all price points. 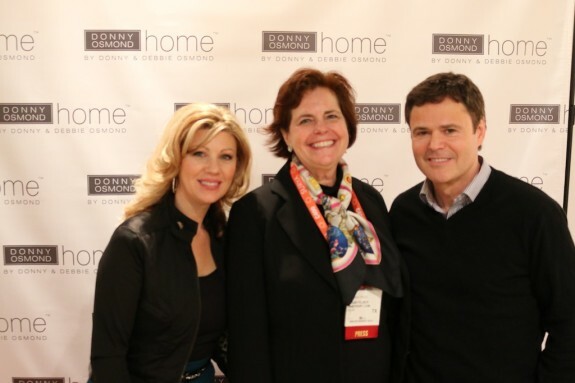 Donny and Debbie Osmond were at market to introduce their new line: Donny Osmond Home. 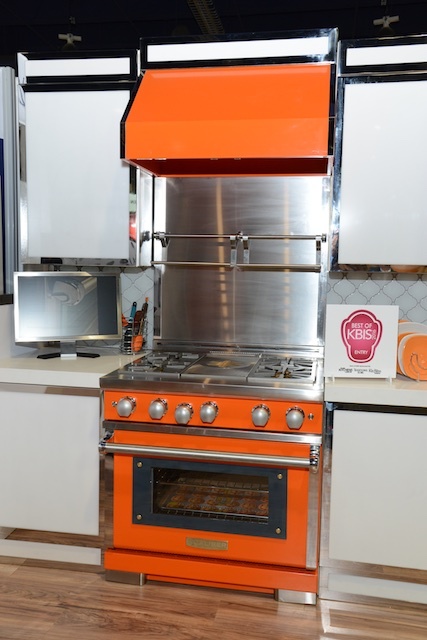 They are really putting a lot of time and energy in the products they are developing — all at very affordable prices. This is brand new, and I’m excited about the possibilities. 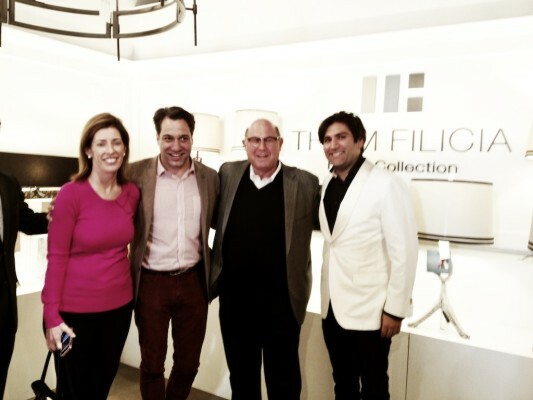 Thom Filicia (Queer Eye For The Straight Guy) was also at market introducing his lighting line for Safavieh that is a fresh approach to “The New American Aesthetic.” His attention to detail is unsurpassed, and is perfect for Dallas. 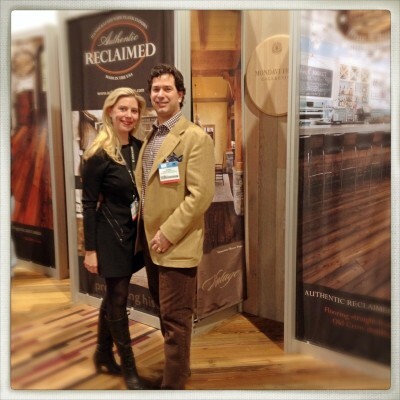 There’s lots more to talk about and share, but the International Builders Show and the Kitchen and Bath Showstarts tomorrow in Las Vegas, so I’m off to share what I discover there as well. It seems like February is going to be a busy, beautiful month!